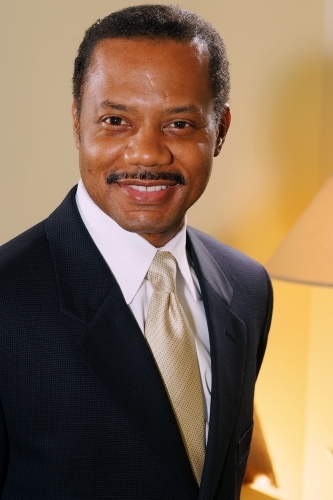 Myron L. Hall is a Doctor of Podiatric Medicine, a Podiatrist. He has an extraordinarily diverse background which is based in leadership, ethics and a hardworking determination. He is a U.S. Naval Academy graduate and had a highly decorated career as a Naval Officer. As a Naval Officer he served as a boiler’s officer, Navigator, Officer-In-Charge of a deployed military detachment during “Desert Storm” and Navy Recruiting Department Head. When his naval career was pre-empted due his own ankle injury and post-surgical complications, he received an honorable medical discharge. Shortly thereafter he was recruited to Union Bank’s Management Training Program, where he became a rising star and was promoted to Financial Services Manager in less than two years. After a stint with Union Bank, he forewent a path to success in banking to pursue his dream to practice medicine. Dr. Hall developed a passion to learn about traumatic injuries to the foot and ankle and the treatment thereof due to his own battle with a difficult foot and ankle problem. He matriculated at Temple University School of Podiatric Medicine, where he excelled and graduated with multiple honors. While at Temple University, he earned the highest grade in his anatomy class, was a member of the Anatomical Honor Society and was recognized with several awards for academic achievement, including an award for being the best in his class in medicine, orthopedics and biomechanics. Following medical school, he was accepted to a three year surgical Podiatric Residency Program at Scripps Mercy Hospital in San Diego and Kaiser Hospital in Sacramento. As a resident he received some of the best and most comprehensive training in general foot and ankle pathology, surgery, medicine, trauma and reconstructive procedures in the country. Immediately after residency, he accepted a staff position at Kaiser Hospital in Fontana, Ca. 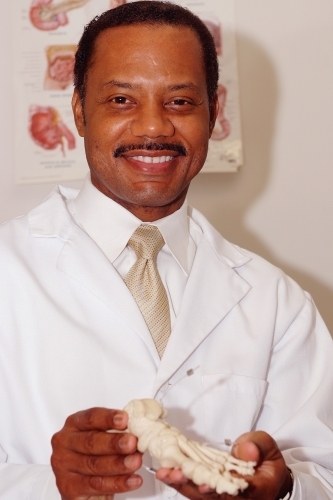 During a highly accomplished seven year period there, he performed over 1000 foot and ankle surgeries, including pediatric flat foot procedures, reconstructive and trauma surgeries, managed the Podiatric Department’s Quality Improvement program and became a Diplomate of the American Board of Podiatric Surgery, certified in Foot and Ankle Surgery. This proven, well-developed foot and ankle acumen and surgical skill combined with his accomplished leadership experience and talent has prepared him well to provide exceptional foot and ankle medicine to patients who seek his care. Dr. Hall’s exceptional professional experience combined with his special compassion for patients due to his own foot and ankle challenges, a highly-regarded character and work ethic and well-developed interpersonal skills provide him a unique ability to provide sincere, comprehensive care with a special warm delivery. He looks forward to meeting you and helping you with your foot and ankle concerns.